For the past year, Sprint has commented a lot about its coming "Next Generation Network" deployment that aims to improve greatly Sprint's network capacity and coverage. Much of that speculation has been over how Sprint intends to feed backhaul to the "tens of thousands" of small cells it plans to deploy -- given Sprint's past history on getting backhaul delivered to its own macro cell sites as part of Network Vision. Last summer, Sprint began talking up its "treasure trove" of 2.5 GHz spectrum as wireless backhaul for its small cells. Many speculated on exactly how this would be done -- with some online netizens theorizing Sprint actually would use part of its 2.5 GHz spectrum in a setup like microwave backhaul. Over the past half a year, S4GRU staff repeatedly were told by Sprint employees that 2.5 GHz was going to be used as wireless backhaul. But there was not a lot of explanation on the technical side on how Sprint would accomplish that. That is until we discovered exactly what it was on a document sent to us almost a year ago that described several then ongoing projects being tested internally by Sprint. 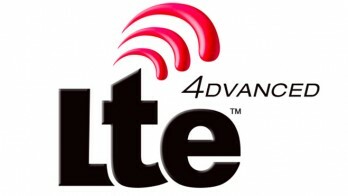 LTE UE Relay is a fairly recent technology introduced in 3GPP Release 10. 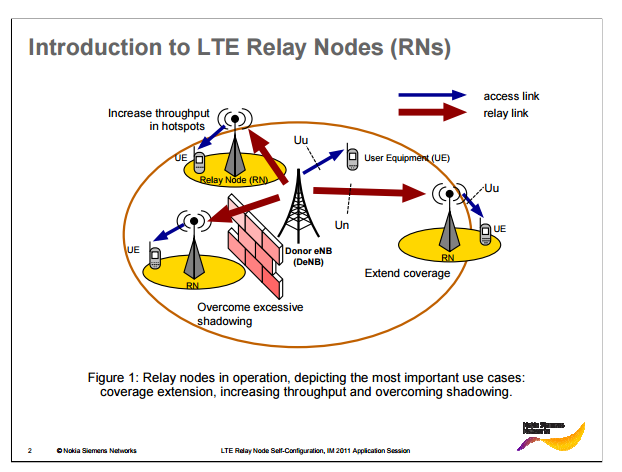 Courtesy of a Nokia Siemens Networks white paper on the topic of LTE Relay, the following is a well made depiction of a network utilizing relay nodes in action. So, how does LTE UE Relay work? A way to think of a Relay Node or LTE UE Relay (i.e. a small cell using 2.5 GHz as backhaul) is as a cell repeater. Yet, there is a significant difference in how a relay node and a repeater operate. Whereas a repeater increases coverage simply by amplifying a specific frequency range -- including all accompanying noise and interference -- a relay node demodulates and remodulates the signal, then transmits its own signal. To put it in simple terms, one can think of a relay node being something akin to a Wi-Fi hotspot utilizing the LTE network for its data connection-- except in this case, the relay node is not transmitting a Wi-Fi signal but an LTE signal. Thus, wherever there is even a speck of Band 41 coverage available, Sprint can plop down a relay node and use the existing LTE signal as backhaul for a small cell unit to increase local area coverage and capacity. This is because the small cell unit transmits a crisp, clean, new LTE signal in the area it is designed to cover, and UEs in that area would connect to this stronger signal. As per the above image, an LTE Relay setup is quick to deploy and provides both an immediate impact on the local network and increased coverage/capacity for all compatible UEs in its coverage area -- without the need to wait for traditional backhaul, which could takes many weeks or months and be dependent on variables outside of Sprint's control. But what about downsides of using LTE UE Relay as a backhaul setup? For one, the speed of the LTE signal that is transmitted by the relay nodes is only as fast as that of the donor site -- be it a relay node (relay nodes can be serially chained), a fiber or microwave backhaul fed small cell, or a macro cell. If there is heavy congestion on the donor site sector, then the relay will also be just as "fast" as the connections that other UEs on the donor sector get. So, if the LTE carriers on the donor site is congested and running say 2-3 Mbps, connections to the relay node would go as fast as that. Another potential issue is that a relay node may expand coverage into a hugely populated area with high load demands and by itself congest the LTE carrier that is providing the backhaul connection to the site. Even though the LTE carrier from the donor site could be running well at 20-30 Mbps speeds originally, the extra loading from the relay node could be just enough to congest that entire sector. In such a case, using a relay may be problematic, and it might be better instead to utilize more traditional backhaul like fiber, Ethernet, or microwave. So, what is the point of writing all that? Recently, an attentive S4GRU member discovered a post on LinkedIn, and an attached image caught the attention of S4GRU staff. 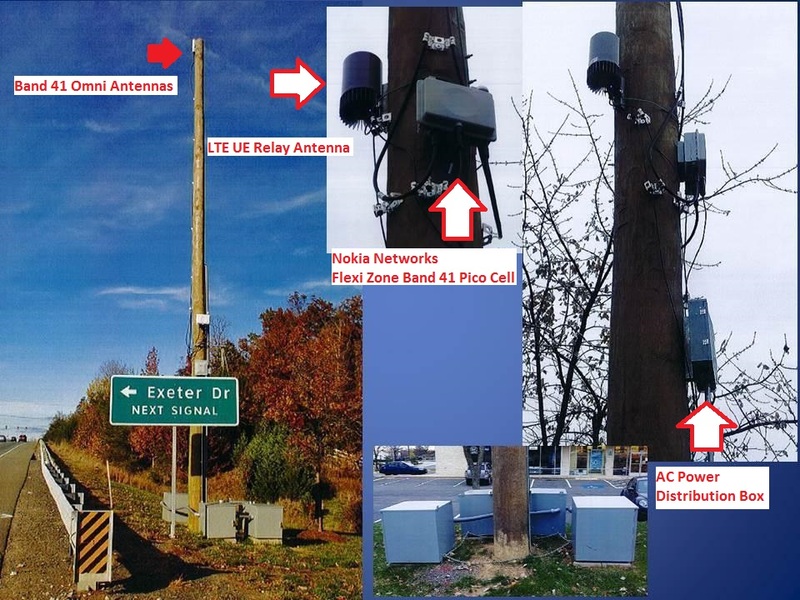 It is not that it is a small cell setup that caught our eye but that subsequent comments noted there were no fiber connections at all, it utilizes a Nokia Flexi Zone pico cell, and it resides in the Boston, MA region. Among the major operators in the US, there are only two users of Nokia Networks equipment: Sprint and T-Mobile. T-Mobile only recently has commenced talk about deploying small cells of such type. To deploy a small cell without traditional fiber backhaul while utilzing a relay antenna and not even talk about it would be a departure for T-Mobile, which is known for issuing many press releases on new LTE Advanced technologies being implemented on its network. Furthermore, the Northeast is an Ericsson vendor region for T-Mobile. Nokia has no business doing anything there, leaving the other potential user as Sprint. There was some speculation on why Nokia would be deploying their LTE Band 41 small cell equipment in an Alcatel-Lucent vendor region -- considering Alcatel-Lucent and its partner AirSpan have their own Band 41 equipment designs. But Sprint has said that the deployment would be unconventional and utilize non traditional methods of deployment, so this must have been part of that strategy. Nokia Networks also is in the process of acquiring Alcatel-Lucent. That may be a factor but is a topic for another day. What was discovered is that Mobilitie has been applying for permits to deploy wooden poles in Salem, MA and presumably other cities as part of the Next Generation Network small cell densification project. 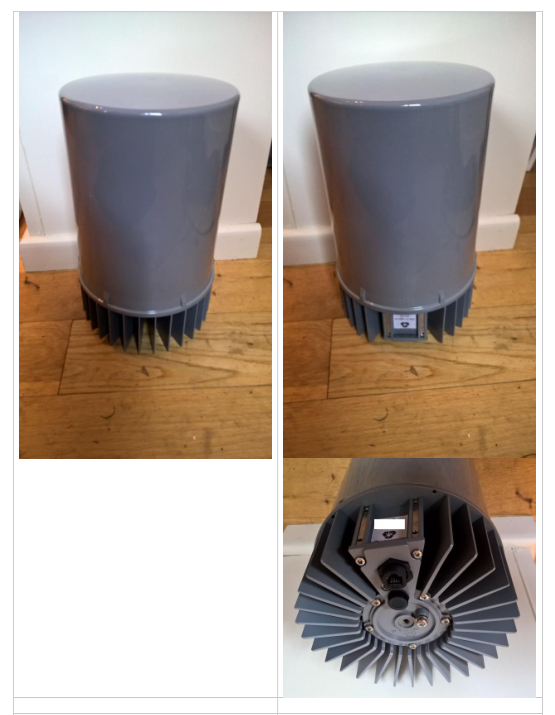 The ever watchful eyes of an S4GRU Ohio based sponsor group member base quickly went to work and discovered an application by Mobilitie that gives a full rundown of what exactly the company seeks to install. Note the permit application engineering details and the pictures from the LinkedIn post. In addition to the near exact matching of details from the proposed setup in the filing and the pictures in the LinkedIn post, the application by Mobilitie, which is widely rumored to be Sprint's primary small cell deployment partner, also provided a site cascade ID: BS90XS933. As per S4GRU sponsor maps detailing nearly all of Sprint's macro sites across the nation, here are a few examples of Sprint macro cell cascade IDs in the Boston market: BS03XC063, BS23XC461, BS60XC325. Gee whiz! I wonder for whom Mobilitie could be deploying these wooden poles and smell cell setups. 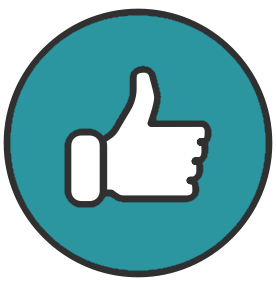 Here is the LinkedIn image labeled according to details found in the application by Mobilitie. As with everything Sprint does, this relay technology is not one magical fix it all for Sprint's network. Sprint has much to do to continue to improve its network and brand image. LTE UE Relay is a very new technology not without its cons. Yet, it is an interesting direction Sprint is going with regards to backhaul to the projected tens of thousands of small cells deployed as part of the Next Generation Network. Of course, what is more important than the theoretical talk is the discovery above of practical setup and engineering documentation. There is solid proof now that Sprint has started at least one portion of the long awaited and much talked about Next Generation Network deployment. Next entry [UPDATED] Teaser: Samsung Galaxy S7 and S7 Edge. One of "US." One variant each for all of the US? People have said Sprint would go bankrupt for years and they've been wrong time after time... now its new Network Plans will kill it apparently. Never mind the fact that the whole premise of the re/code article on which it was based has been debunked. 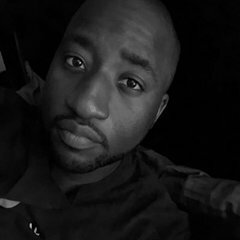 Jeezuz.... Where do they find these "Analysts"? Tim, got a question for you. I understand the concept of having a relay but if the relay doesn't have a very strong signal to the donor site, would it still have sufficient speeds? By the way, great article. Never mind the fact that the whole premise of the re/code article on which it was based has been debunked. John Saw made it very clear, there would be no disruption in service. This would cause an insane amount of disruption. That is one of the ? With relay setups. Speeds will vary depending on signal quality and the load on the donor lte signal. But in almost all cases really, relays aren't meant for speed. They're meant for coverage. Areas wheree b41 are OK to half decent outdoors but get zero b41 and congested 25/26 indoors. The thing to remember is relay sites are not considered their own unique cell sites. They broadcast the same exact lte carrier information as the donor site giving the relay site the bandwidth. If massive data speed increase is required then traditional backhaul and configuration of the eNB as a unique site with its own identifiable information is needed instead of a relay. That is one of the ? With relay setups. Speeds will vary depending on signal quality and the load on the donor lte signal. But in almost all cases really, relays aren't meant for speed. They're meant for coverage. Areas wheree b41 are OK to half decent outdoors but get zero b41 and congested 25/26 indoors. The thing to remember is relay sites are not considered their own unique cell sites. They broadcast the same exact lte carrier information as the donor site giving the relay site the bandwidth. If massive data speed increase is required then traditional backhaul and configuration of the eNB as a unique site with its own identifiable information is needed instead of a relay. Okay, that makes perfect sense. It will be good to boost the coverage since that is one of the weaker parts of their network. Thanks Tim. I think Sprint has many more options with this than are detailed here. In many markets Sprint will have more than 3 B41 carriers. Another possibility is to use some of these additional carriers to supply signal to these small cells in some quasi-dedicated fashion. Perhaps using another PLMN and/or another mode (data centric etc). Then it just becomes an issue of backhaul at the donor site and any added delay. WOW, that was exactly my thought process. Why dig into used frequency for backhaul when you have plenty to dedicate for it. I like see real world testing near small cell , range ,speed and handovers. It seems this is definitely their main approach for the small cell deployment. Sounds exciting. Great job on this article Tim! Great article Tim that helps explain the LTE UE Relay functionality. It will be interesting to see which markets plans to launch this LTE UE Relay function first. I sure hope Sprint does a lot of their real world testing and lessons learned in a smaller market first before trying to tackle the Top 50 markets for deployment. The picture may be misleading, but that looks like a very rural location for a B41 small cell. Is there a variation of this setup that would use B41 as wireless backhaul, but the relay would be B25/B26? No, in the Boston metro, that looks to be a suburban area. It probably is a spot with low LTE signal on the macro network, thus one prone to drops to eHRPD. As long as there is at least one band 41 donor cell reasonably nearby, an LTE UE Relay small cell could be just the fix needed to cover, say, a half mile stretch of road and neighborhood. In well deployed markets, most low LTE signal spots are small and sporadic. It seems like this may be the golden ticket for reliable VoLTE without drops in the future. This jives with the comment the NC and southeast regional manager told me. "We're going to be putting small cells on light poles all over in 2016, honey". She actually said every 4th light pole, but that was probably a quaint southernism to mean a lot. Tim, really good article. I have talked with AirSpan and others within the industry about the relay strategy, One of the major issues is relocating all of the macro sites to lower rent leases in addition to finding sites for the relay nodes. I had assumed they would use the AirSpan small cells and not Nokia's but makes sense if you want more capacity to use the Nokia unit. Given Sprint has a messed up backhaul network strategy and microwave//mmwave radios would be expensive initially to deploy, using one 20MHz channel for backhaul until the requirement goes up to expand the coverage footprint of a macro site makes sense. The initial talk about about 40k of these sites with Chicago being a major focus. 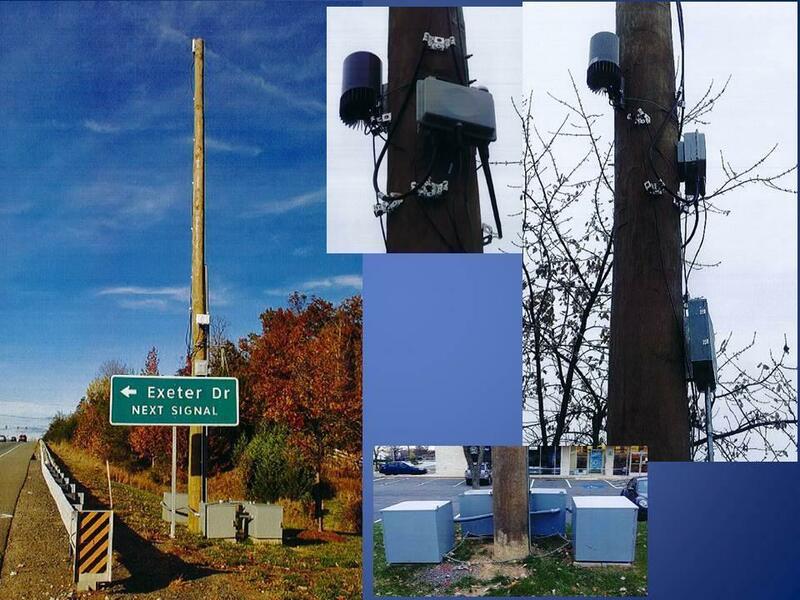 Have you seen any updates on more small cell sites from any of the members vs where they are for the macro sites??? 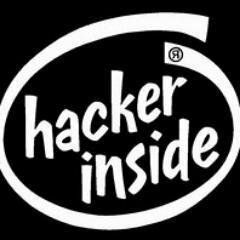 Also curious on the pictures you have of the relay node. They are indoors so in your house or someplace??? Have you actually deployed them?? This individual has been finding quite a few in Los Angeles and posted numerous high quality pictures here: http://www.celltowerphotos.com/thumbnails.php?album=49. 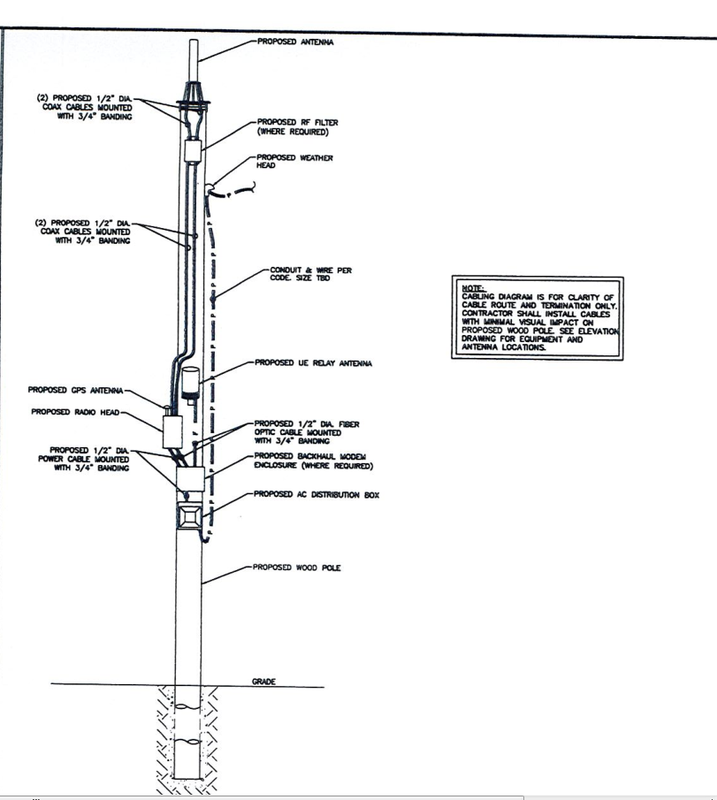 Pictures of the relay antenna on the floor are from FCC filings of the UE relay unit. AFAICT, Samsung has either not begun or is exclusively focusing on the midwest (i.e. Chicago) for its small cells (I have a good idea on where they're planning to locate them). Nokia has been going at it pretty hard in quite a few markets like the Northeast Region, Los Angeles, and Florida.